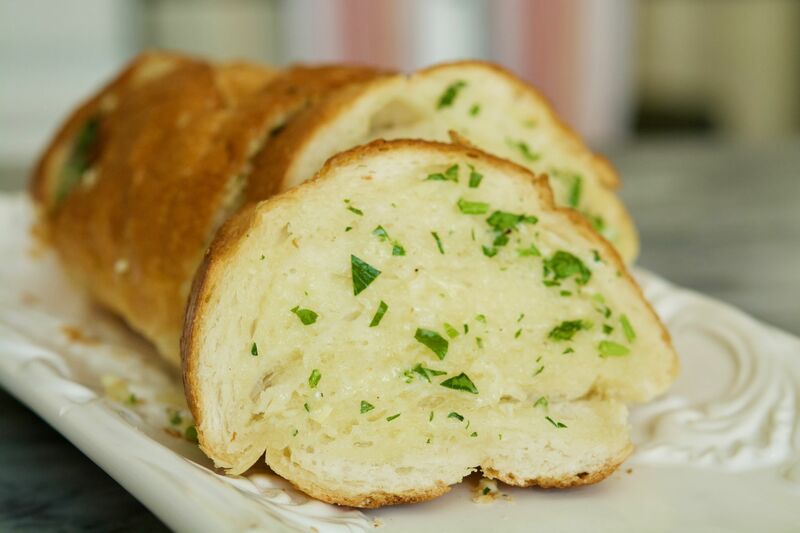 Every time I post a recipe made with pasta I get several requests to make the old famous garlic bread. I think I have already posted about five or six recipes where I use some kind of pasta but it never crosses my mind to serve it with bread and the reason is simple, I just feel that serving a big portion of pasta with a piece of bread on the side would be like a huge carnival of carbohydrates all in one plate. 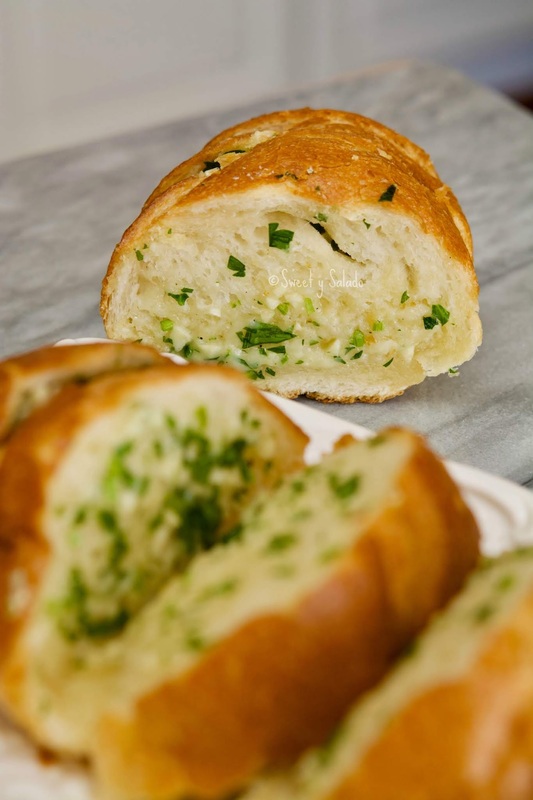 The funny thing is that I do make garlic bread every now and then but I like to serve it as part of an appetizer and serve it with a good variety of cheeses and cold meats or even smoked salmon. From the moment I take it out of the oven everybody starts to grab a piece (or two… or three). I highly recommend using fresh minced garlic and parsley so it comes out outstanding. 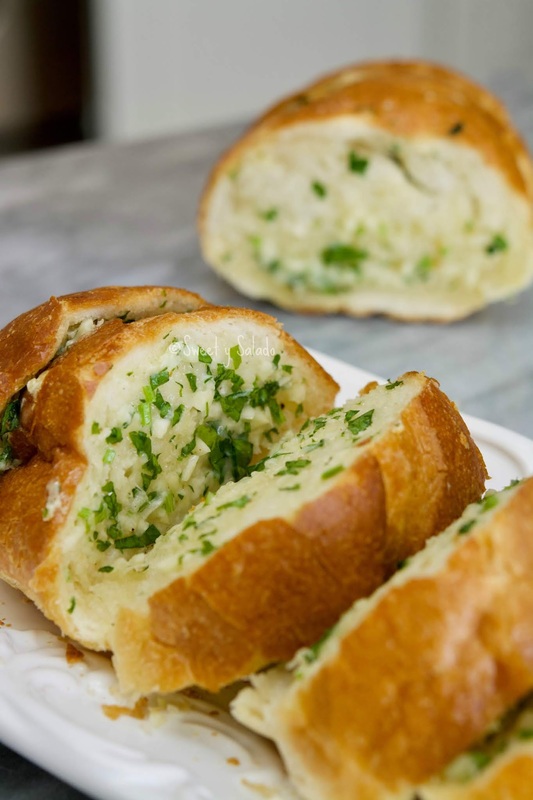 But, if you don’t have them on hand, remember that you can easily use garlic powder and dry parsley instead. As for the bread, use a large loaf that won’t lose its shape in the hot oven. 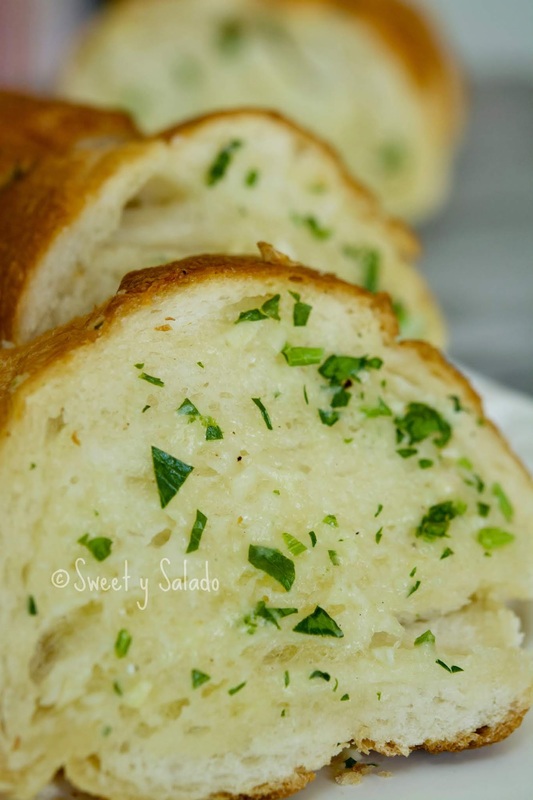 French bread or Italian bread work perfectly for this recipe. Pre-heat oven at 425ºF (218ºC). In a medium bowl mix all the ingredients well and set aside. With a serrated knife cut the bread into slices without cutting all the way through the bottom. This is so that it can hold the butter mixture better. Spread the butter mixture between the slices of bread. Wrap the loaf of bread with aluminum foil leaving the top uncovered and bake on a baking sheet for about 15-20 minutes or until it starts to turn golden brown on top and the cheese starts to melt. Serve immediately.